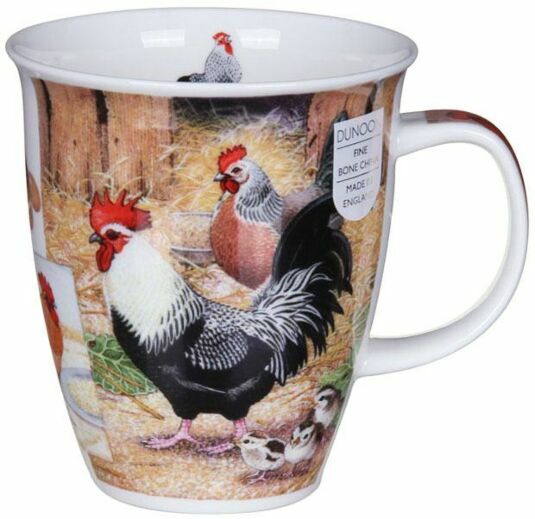 A proud Cockerel and a plump Hen strut across this delightful mug from Dunoon by Richard Partis. A few fluffy chicks run along beside them, perhaps on their first outing from the warm and cosy straw-filled chicken coop that can be seen behind them. A perfect gift for poultry fanciers or lovers of rural life. The Country Life series depicts scenes from rural life, beautifully observed and executed in fine detail and mellow colours.